Jiří Kohout loaned for digitzation 19 photographs. 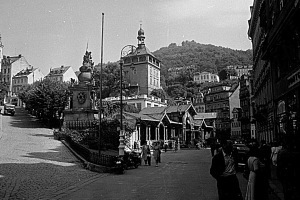 The photographs originate from the original portfolio of the Šechtl & Voseček studios. The portfolio contained over 500 most popular photographs of Tábor and its surroundings. We are very happy we now have more complette scans. 352 photographs was found so far. Negatives for Marie Šechtlová's book “All Eyes” was considered lost for long time. Fortunately they was discovered during a reconstruction and survived (except for one picture] in good condition. 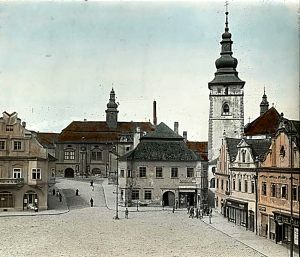 Josef Kratochvíl loaned for digitization negatives containing new photos of old town in Tábor as well as unique photos from maneuevers before WWI. We are very grateful for the gift. 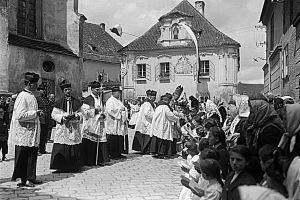 In the archives of Czechoslovak church in Tábor was found several new negatives originating from Šechtl & Voseček studios. 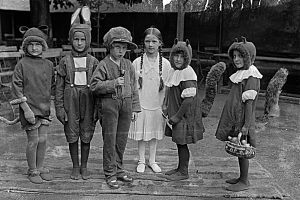 The negatives was donated to our archive. We are very grateful for the gift. Jiří Kroupa, son of Adolf Kroupa, director of organizing committee of great Regional exhibition in 1929, identified number of photographs and borrowed us for digitization photographs not preserved in our archive. With 311 photographs, the reportage from the exhibition is the largest made by Šechtl and Voseček. Mr. Poustka donated to our archive 3 boxes of negatives he saved from larger amount of boxes thrown away from garage in Budějovická street. 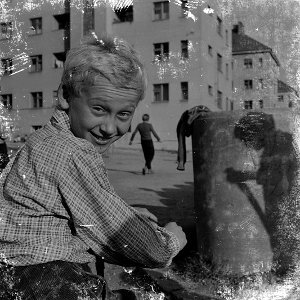 The negatives are originated from Šechtl and Voseček studios and we hope that perhaps more of negatives was saved from this previously unknown storage. The negatives will be digitized soon. We would like to thank to Ed Hamrick, author of excellent VueScan scanner software. He added number of features critical for our needs of digitizing archive old historical negatives. 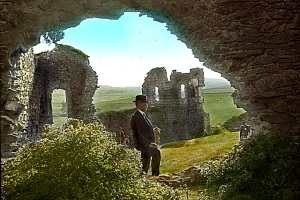 Recently he added feature needed to properly expose wrongly colored base of Orwocolor negatives. Without his effort, our digitization project would be significantly more dificult and expensive. Filip Zelený is able to find owner of a car based on ID and identified owners of cars on the photographs: 0022, 0024, 0050, 0450, 6378. and 35mm films: 0541, 0542, 0547, 0548, 0549, 0550, 0551, 0553, 6970, 6972, 6977, 6978, 6979, 6980, 6981, 7757. 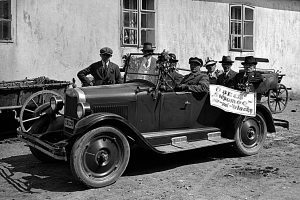 The car bove, used by PFFF society, was owned by Josef Kroc, Tábor Car service 542. Rostislav Čech identified and partly dated majority of photographs from Pelhřimov. We've also started to organize photographs from Pelhřimov to subcategories, since we expect the number of them to grow significantly when we start to digitize Pelhřimov part of archive, since in the city was also Šechtl and Voseček studios. 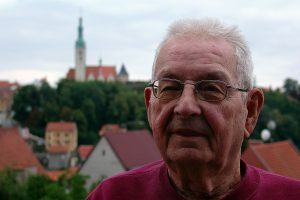 Vladimír Staněk identified number of photographs not only from Pelhřimov and surrounding villages. 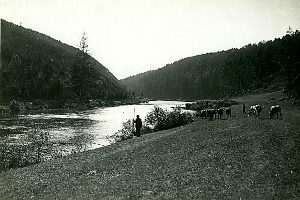 The photograph above from negative 6334 found published in book “Vlaštovky se vracejí”. 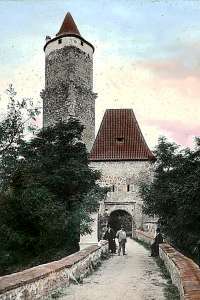 It is located in Pelhřimov and the second priest from left is Msgre. F. B. Vaněk. Newly identified photographs are: 0916, 0977, 5777, 6155, 6334, 6901, 7815, 7817, kinofilmy: 2416, 2417, 2418, 2420, 3704, 3705, 3706, 3707, 3708. Děkujeme! 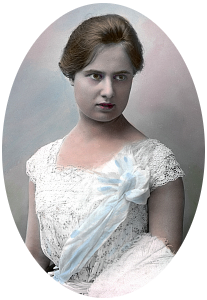 Yvetta Dörflová, Museum of Czech Literature, identified and exactly catalogized number of photographs of relatives of famous writer Božena Němcová, who was photographed in Šecht and Voseček studios. 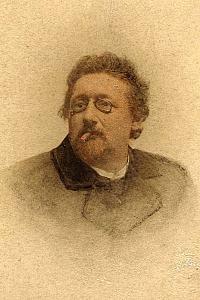 On the photograph is pomologician Karel Němec, son of Božena Němcova, who was married with sister of Kateřina Šechtlova, second wife of Ignác Šechtl. Jiří Čikeš donated to our collection 36 hand coloures slides and several negatives. The slides were most likely prepared for the Tourist club. We are very grateful for this discovery and donation! 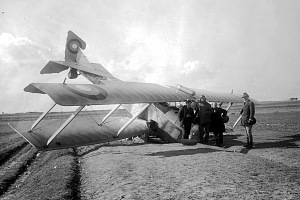 Jan Zahálka identified photographs from airplane crash in 1919. 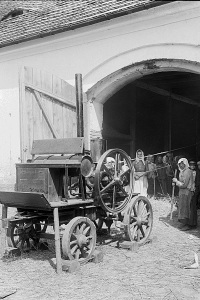 Jan Králík has identified the photograph on glass plate negative 7112 originaly described as “threshing-machine”. The picture is of a stationary engine, which is providing power for the threshing machine, inside the barn. Stationary engines like this were used to provide power for many different tasks, such as threshing, sawing timber, cutting chaff, driving lathes, and so on. According to Vladimír Olšanský, the engine might be an internal combustion engine, as there is no visible steam boiler. Lucie Klejnová identified photographs on 35mm films: 1334, 1333, 1332, 1322, 1321, 1320, 1319, 1318, 1317, 2368, 2367, 2366, 2365, 2364, 2363, 2362, 2361, 2360, 2359, 2358, 2357, 2356. 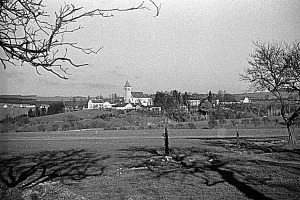 For example this photo shows view from Hroby to the street leading to Radenín. PhDr. Eva Uhrová proved our hypotesis that on slide 0029 is granddoughter of famous writer Božena Němcová, Marie Záhořová-Němcová. She also identified more portraits and photographs of her doughter Eva. We are grateful also for short biography of Marie she wrote, that is published on Czech version of our page. Marie Záhořová (1859-1930) was in 1920s famous social worker. Filip Paulus identified speaker on negatives 3399 a 3394 as prime minister Dr. Jaroslava Krejčího, and speaker on negative 3398 as minister of agriculture Adolfa Hrubého. He also sent us scan of additional photo from the same even we didn't found negative for yet. 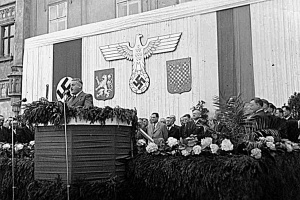 The photographs are probably from visit of Adolf Hrubý 1942. 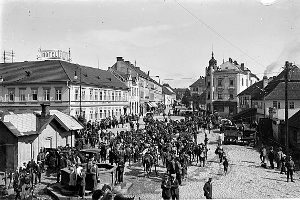 These are the only photographs by Josef Šechtl of official events during occupation we know of since the whole archive from this era was lost. This photograph (ifilm0153) is not portrait of actor Ladislav Pešek (as the was mentioned on evelope with it), but Jaroslav Vojta. This mistake was noticed by Pep. 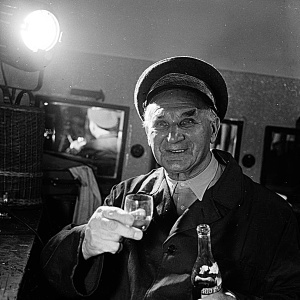 According to the biography of Jaroslav Vojta, he was member of National Theatre only till year 1959, while this photograph was probably taken 4 years later 1963. 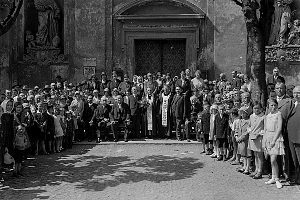 Pavel Schafferhans has reproduction of the same photograph as on slide 0028 and informed us, that the person sanding is writer Roman Cikhard and the photo was taken during celebration of 500th anniversary of castle Borotín, 1934.